What once used to cost a fortune, it's now available to everyone, thanks to the reasonable prices and cheaper manufacturing. Don't get us wrong, there are still projectors that cost $1500+ and they make one of the best projectors out there, but on the other hand - quality can still be found in reasonably priced models. It's really great to live in a world where technology advancements happen faster than ever before. This allows us to pick up a projector for a decent price, yet get the quality we could've only dream of in the past. If you pay attention to the specifications and manufacturers, projectors come equipped with features which can be seen in pricier models like the ones used for gaming. Taking advantage of such projectors will definitely help you get a valuable deal for the price you pay. After all, projectors should be considered as an investment, and once you put yourself in such mindset, you'll focus on the value instead of price. This will lead to a better choice and more value for any price you pay. We did our research and we paid close attention to the most important factors such as brightness, aspect ratio, contrast ratio, size range, and even the build quality. What you can see below are 4 of the best models you can get for a very reasonable price. The 4 Best Cheap Projectors In The Market For The Money! With technology advancement, projectors are cheaper than they've ever been. But choosing any projector out there still isn't an ideal option. Instead, you should spend some time researching and finding out as much as you can about the projector before the purchase. In this article, we've done the job for you and all you have to do is choose a projector that suits your needs without worrying about the price tag. Vankyo Leisure 3 is one of the rare projectors that is equipped with a number of features that take the quality to another level, and considering its price range - this projector offers a great value for the price it costs. Hence it's the best choice for people on a budget. What struck us the most about its quality are some of the features that come included can be usually seen only in more expensive models. When we've tried the VANKYO Leisure 3 projector, we loved the superior watching experience. Everyone is interested in the image quality, but not many people care about the reasons behind the great results, right? It didn't take us long to figure a few things out and come to the conclusion that the upgraded LED lighting is one of the key parts of this projector. The projector offers 40% brighter image and 2000:1 contrast ratio bonds really well with the image itself. The resolution of 1920 x 1080 pixels is perfect for home entertainment and even for a positive gaming experience. Hands down, this is the best choice if you're interested in quality yet still aren't willing to spend thousands of dollars. With the number of ports included, you'll never run out of the connectivity options since you could connect your wanted device in at least 4 different ways. The size and weight are still reasonable, yet the number of ports proved itself to be very useful. What's even better is the ability to connect your smartphone, but keep in mind, in order to do so, you need to have the correct cable since it doesn't come included. From some of the most popular devices, you can connect PlayStation 3 & 4, PSP, Xbox, Wii, and many other consoles and devices. You can go to the cinema to enjoy watching a new movie on a large screen, but when was the last time you enjoyed some sports or your favorite TV show on such large screen? With the screen size of up to 176 inches, you can have the true cinema experience at home, and if you have a smaller room, that's not a problem at all. You can set the projector at a distance between 5 to 16 ft and get a bright and crystally clear image without sacrificing the size. As it is with everything in life, the budget might make us settle for less than we deserve or want, however, that's not what's going to happen with DPOWER T20 projector. It's a budget projector, actually one of the cheapest that keeps the quality at a decent level, and yet offer a lot for the price it costs. Even though it's very compact, it still has a lot of power to provide a great & positive watching experience. It might not be the best projector you have ever used, but trust us when we say it's the best projector for such low price. DPOWER T2o is classified as a mini projector, and even though it's compact, no one should underestimate its power. With such design advantage, the portability and versatility have been taken to another level, and what we were really glad to see is that there were no sacrifices made regarding internal components. The manufacturer was able to place two fans to improve the cooling, eliminate the noise, and add a better lamp that lasts for longer. And in our opinion, such improvements might not seem like a lot at first, but they really add up and make the projector even more useful in the long run. With a screen of up to 176 inches, you get the true 1080P resolution that would be hard to get if you were purchasing a TV in a similar price range. The recommended projected distance between a projector and a screen surface is about 5 to 16 feet. After a few hours of testing, we found the sweet spot which is somewhere around 6 ft. However, it all depends on the projected screen size and resolution, so it's all about the testing. And yes, don't forget to play with the focus and keystone to improve the image quality. DPOWER projectors are getting smaller and smaller and they actually feature the most compact design, but they're becoming brighter, sharper, and are able to offer a bigger image than ever before. People usually say you get what you pay for, and if you think of the price DPOWER T20 costs - such rule doesn't really apply here. When compared to other mini projectors within the same price range, the results are clear as day and night. If you're new to projectors and are looking for a one-time investment that will provide you with a decent viewing experience, without any plans of upgrading in the future - ABOX A2 projector is the right choice. This projector is all about the quality and that's what makes it stand out from the crowd - especially within its price range. It's made to last for long and deliver what's promised by the manufacturer, for many fun & long hours. We were really surprised to find out that the ABOX A2 projector features a native resolution of 1280 x 720 pixels. The native resolution means that it projects the exact number of pixel dots on the physical screen. And with the 1280 x 720 resolution, you'll be provided with a crisp and clear image that features 1280 pixel dots wide and 720 pixel dots tall. With the ability to reach a screen size up to 180 inches, this projector proves to be very useful by providing a quality use of space with a resolution that even a TV can't beat. And when we go back to the price of this projector, it's fair to say this projector offers a lot of value for the price it costs. The reason this projector features solid reliability along with incredible image quality is the latest upgrade which is a 5 layer LCD technology. ABOX A2 projector features an integrated chip installed inside the projector which is dedicated only for processing the primary colors. The difference it creates can be visible in the image and color rendering. While single-chip processors deliver colors sequentially, the 5 layer LCD technology projects the colors continuously. It might sound complicated, but you'll understand it once you have a look at the image. Even we were surprised with such an upgrade since it's usually added to projectors that cost a lot more money. Not only the ABOX was innovative when it comes down to the projected image, yet they introduced a new innovative ventilating technology. Single air duct ventilation technology employers advanced air current circulation that makes sure no dust gets inside the projector, yet the most important parts are kept cool during the long hours of use. However, only one downside of their single air duct ventilating is the noise. The manufacturer claims the noise is under 15 dB when we've actually measured the noise of about 60 dB. Even though it might seem like a huge difference, it doesn't really create a big problem while you're watching the movies. TOPVISION projector is one of the most popular projectors by the user's choice because it's improved with the number of features, yet there's one that really stands out. It's the screen synchronization that allows users to project the synchronized image without having to use the HDMI cable. Whatever you have in plans, you can drop it and take the simpler route by synchronizing the image directly. It's a very affordable projector and by our evaluation, it really offers a lot of value for the price it costs. 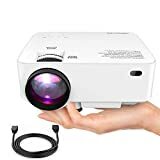 That's probably one of many reasons why this is one of the most popular options for people who are looking for a cheap projector yet a projector that will offer a breathtaking viewing experience. One of the key features of TOPVISION projector is the image synchronization that allows you to mirror display either from a laptop or a smartphone and get a direct projected image. You don't even need to connect the device via HDMI cable, yet take the advantage of a WiFi connection. The projector is compatible with many devices such as Amazon Fire TV stick, USB flash drives, TF cards, and much more. You could even connect a gaming console. However, keep in mind that if you decide to use image synchronization, you won't be able to synchronize videos, movies, and shows that come from copyrighted sources such as Netflix, or other viewing platforms. While it might seem like a perfect solution, sometimes you'll still have to stick to the old way - a cable. TOPVISION is a very portable projector that doesn't require a lot of space and it's something that adds value when your goal is creating a home cinema. It offers a great combination of bright & clear image, 16:10 aspect ratio, large screen size, and even a decent audio speaker. However, the manufacturer doesn't recommend this projector for presentations or office use. That's just another reason why this is really an ultimate projector for a home cinema-like experience. If you don't own a pair of surround sound speakers that will create a great atmosphere during movies, you have nothing to worry about. Spending more money on quality speakers is always a better idea, but put your credit card away because you might not need it. TOPVISION projector has integrated Hi-Fi speakers that provide a full-spectrum sound which is one of the top choices when it comes to movies, sports matches, and even family gathering & parties. When you don't have a lot of money to spend and invest in a projector, yet you really need one - for example, you're looking to replace your broken TV with a better option, knowing exactly what makes a quality projector and offers a great image is your best way to find a valuable projector. Affordable and cheap prices don't mean that all projectors aren't worth your time, yet there are some that make a great viewing experience. You shouldn't underestimate the quality of low-priced projectors, but find what makes a quality projector. The first thing you should look out for when purchasing a projector is the quality of the image it can produce. That is determined by looking at some of the most important factors which are the aspect ratio, resolution, screen size, and brightness. A quality projector will have a decent aspect ratio combined with a high resolution. When it comes down to the screen size, aim for your wanted size and still pay attention to the resolution and aspect ratio so they are suitable for the size. The brightness which is measured in Lumen is going to determine how bright the image is and in which conditions will you be able to have the best visual experience. Believe it or not, not everyone loves watching movies in a dark room, and other times, not everyone can make a complete dark in the room. An additional thing to look out for is the source of the lamp and the technology used to produce the image. There is a difference between LCD and LED, and if you can, always aim for LED source since it's the latest source that can save the energy and last for longer while providing a quality image at the same time. 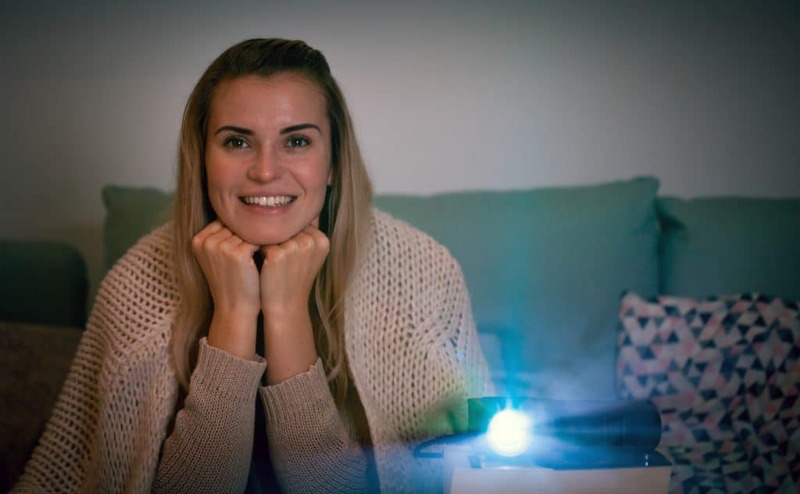 Most of the projectors come with a lamp that is replaceable, and even though the lamps are a part of a projector that will eventually die and have to be replaced. But what are you expected to do when the lamp eventually blows out? It's wise to go for a projector that guarantees a number of hours the lamp can handle, and even backs it up with a warranty. This way, you won't have to spend any extra money in case the lamp blows out in a short period of time. On the other hand, if the lamp blows, replacing it won't be a hard task to do. 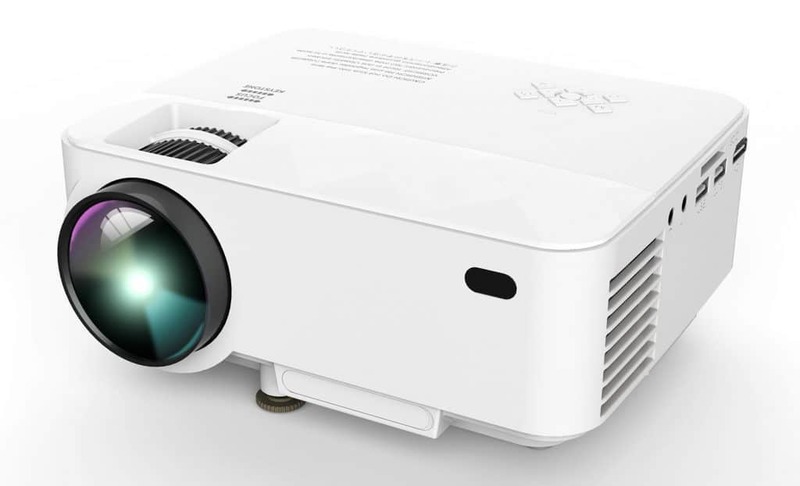 Getting a projector that is very versatile when it comes to connectivity is a good way to cut extra costs, even though most people don't think about it at first. Would you rather want to have everything ready out of the box, or think of ways and adapters, and even spend money on some of the adapters in order to successfully connect your device to a projector? If you find a projector that has almost every port available featured, the chances you are going to need any extensions or additional adapters are very slim to none. Most of the projectors come with a multi-type interface that will let you connect some of the most common devices, and that's exactly what you should look out for. You might have experience with projectors, but when you're trying to squeeze out the best quality out of the cheap projector, you have to be right about everything and even have some experience to get a good deal that'll be worth your money. And your time by providing you with a great visual experience, of course. Just to make sure you get everything right, here are some of the most frequently asked questions we answered in hope to solve every doubt you have in the back of your mind. Who knows, you might jump straight to the purchase once you get the answer to the question that has been bothering you for a while now. Q: Are cheap projectors good for PowerPoint presentations? A: Cheap projectors are definitely good enough for powerpoint presentations, but you need to pay attention to which projector you're going to choose. As ironic as it can be, some projectors aren't suitable for office and presentations purpose, yet are good for gaming and home entertainment. Also, you have to pay attention to the brightness, so you get the decent image that will be well-visible during the day with plenty of light in a room. Q: Are cheap projectors a great TV screen alternative? A: Like any other projectors, if you find a quality projector at a great price, it's going to make a great TV alternative. If you're looking for a great TV screen alternative, any of the top 4 projectors reviewed above will make your experience a positive one. Q: Do cheap projectors come with HDMI input? A: Yes, of course. In fact, lower-priced projectors include as many input ways as any expensive projector would. TOPVISION projector is a great example that even features a direct image synchronization along with the HDMI port and many others. Q: Can cheap projectors project a full HD image? A: It depends on the projector you choose, but any of these projectors in this post can produce a full HD image, and some of the projectors can produce 4K and even 3D image projections. Q: Are cheap projectors suitable for gaming? A: While cheap projectors might not be a perfect option for gaming, some of the lower-priced projectors are more suitable for gaming than they are for office use. It's all about choosing the right projector, but you can see most of the manufacturers highlighting the suitable intended use. 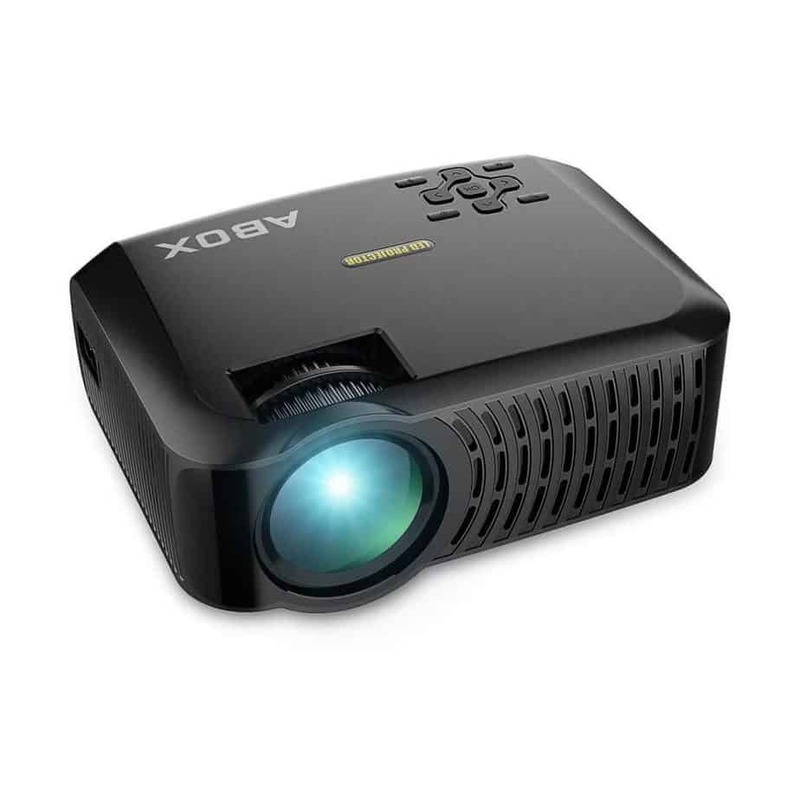 Following it will make sure you get a suitable projector for gaming at a decent price. Q: Are cheap projector lamps any good? A: In fact, they are. 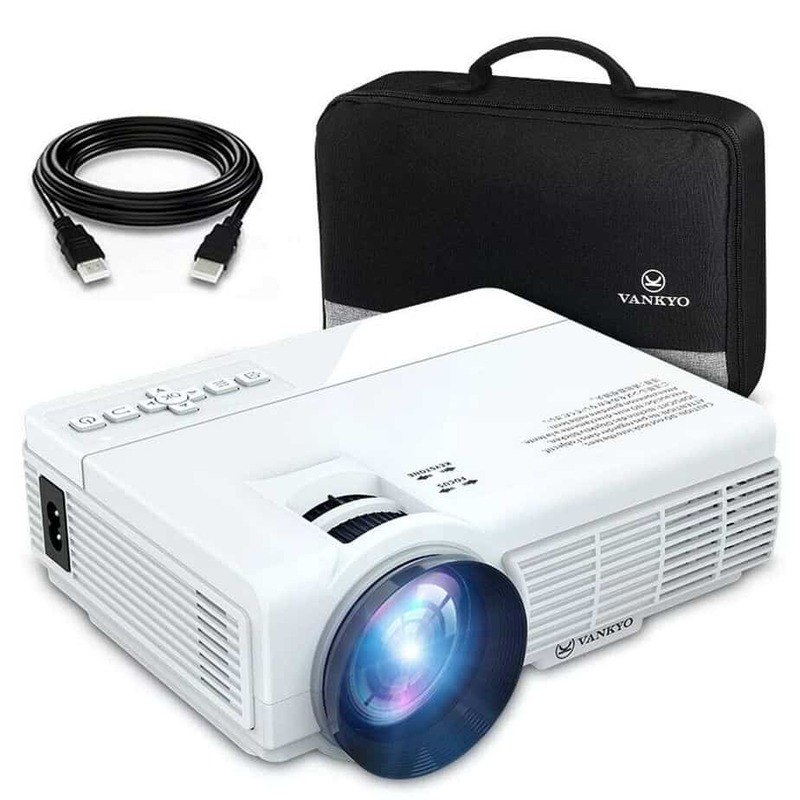 Some of the cheap projectors feature lamps that can last up to 50,000 hours - which is a lot and can be compared with some of the higher-priced projectors. Not only they can provide a quality image, but they can also last for a long period of time. Projectors were very expensive before. Nowadays, you can find them at a very cheap price. And with the cheap China manufacturers, you really need to develop an eye for the quality. 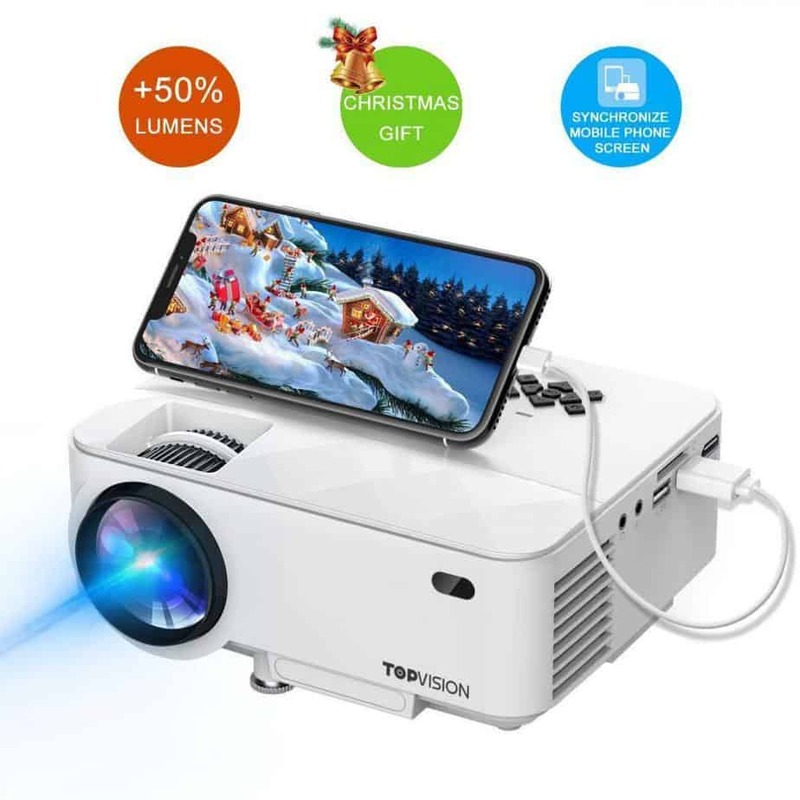 Otherwise, you could get a projector that might seem like a good deal at first, yet would turn out to be your worst nightmare in a short time. With the market full of affordable projectors, it can be hard to pick the quality ones from the crowd. With the buyer's guide in this post, our answers to some of the most frequently asked questions, and even 4 of the best cheap projectors - all you have to do is make your mind and choose one of them. You won't be disappointed, yet you'll be equipped with quality & compact projector that will provide hours and hours of fun. If you aren't confident in choosing a projector yourself, we're glad to let you know that you will definitely be pleased with any of these top projectors.